Storm IV Cloud Car (Star Wars Legion Scale) by McAnultyMiniatures is licensed under the Creative Commons - Attribution - Non-Commercial - Share Alike license. 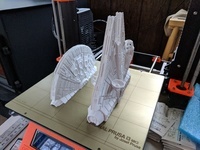 Cloud car scaled for legion; prints real quickly for a starfighter. Landing gear coming shortly. Sourced from facepunch resource thread. 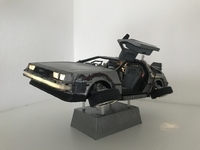 Say thanks by giving McAnultyMiniatures a tip and help them continue to share amazing Things with the Thingiverse community.